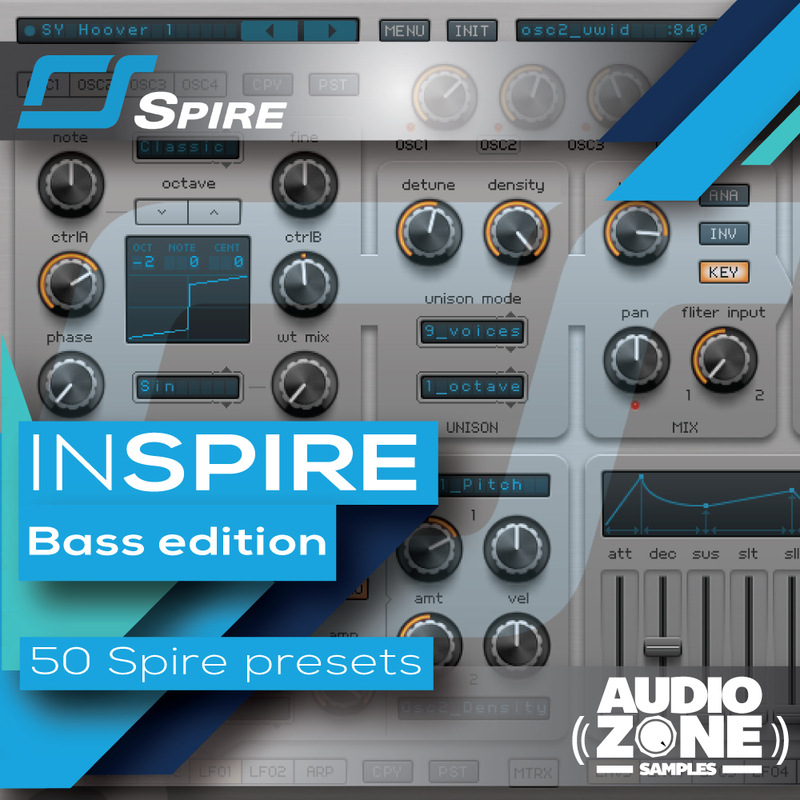 “InSpire – Bass edition” by Audiozone Samples contains 50 first-class Bass patches for the amazing synthesizer Reveal Sound Spire! All presets has been crafted careful to fit right into the mix. Every patches are perfectly tweaked and fitted with ModWheel Control which enable you to edit each sound to your own personal sound! Expect to find fat & powerful Bass ready for the next drop! You will have all the material you need to add creativity to your musical productions. Elevate your productions to devastating dancefloor style!!! Please Note: this pack is compatible with Reveal Sound Spire 1.0.18 and higher.